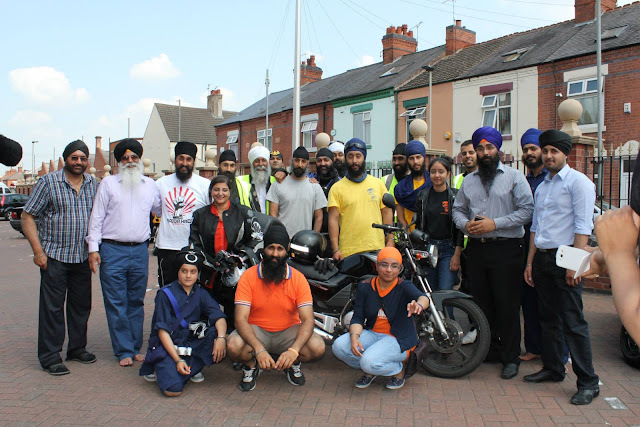 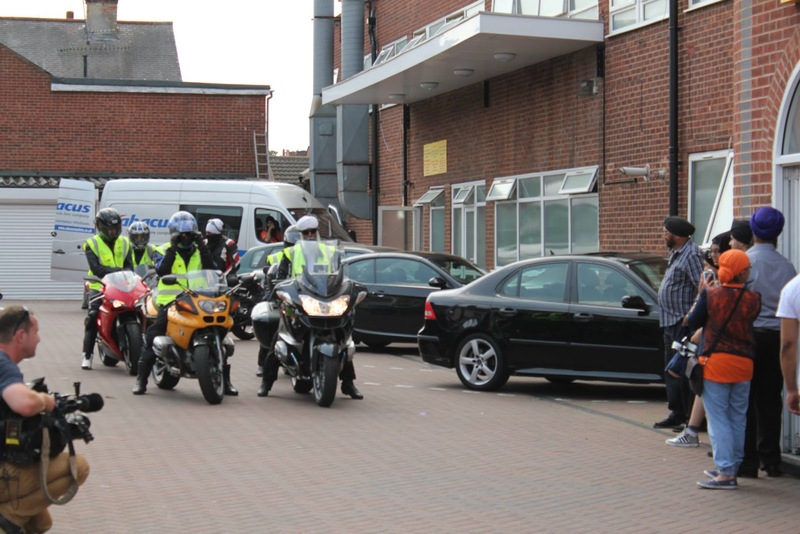 On Wednesday 17th July at 11am, Leicester’s Sikh community welcomed the charitable motorcycling club called the KHALSA BIKERS. It proved to be a marvellous sight to witness the 20-strong, Turban clad Sikh motorcycle enthusiasts with long flowing open beards roar up to East Midlands largest Sikh Gurdwara – ‘Guru Tegh Bahadar Gurdwara’ on East Park Road Leicester. 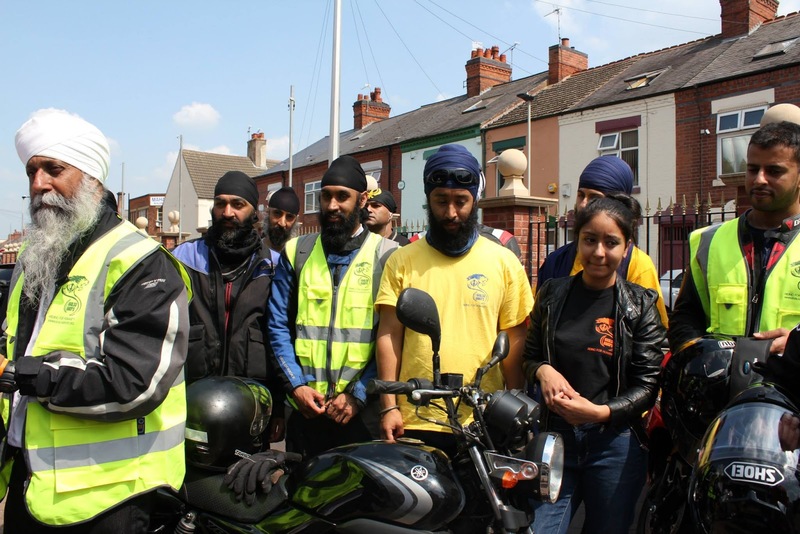 Leicester was the second stop on a 5 day, ‘Route 13’ named Charity tour of 13 towns and cities across Great Britain. 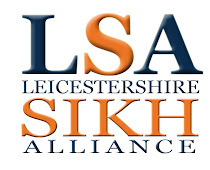 Leicester’s Sikhs have been raising money in anticipation of the club’s arrival and hope to add to the £25k the club have raised since their inception in 2011. 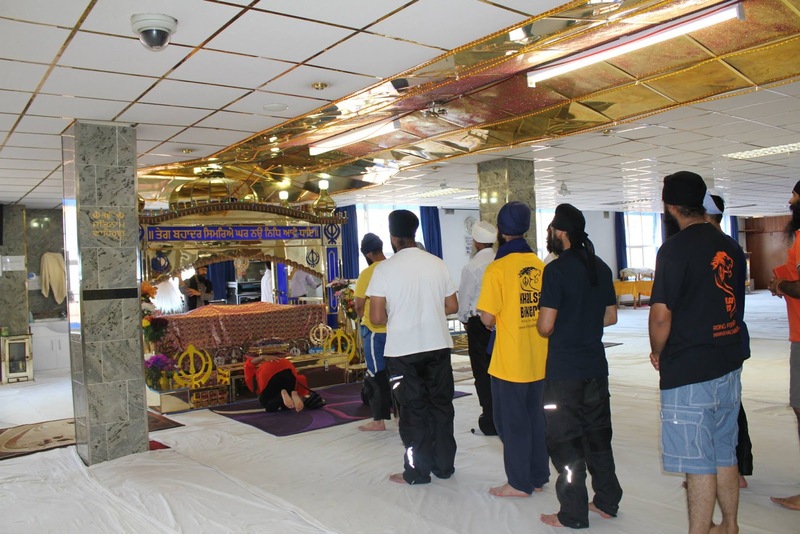 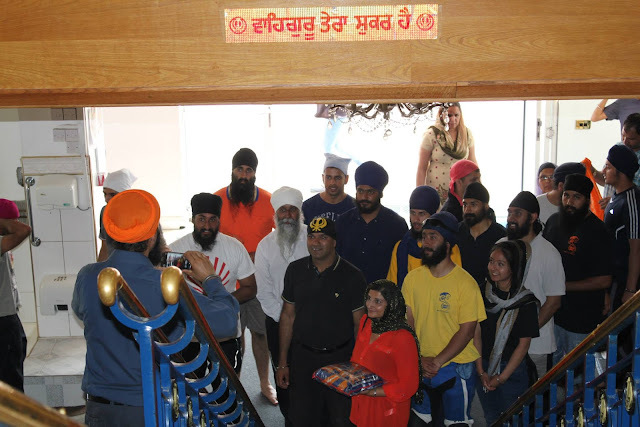 Beneficiaries of Route 13 Tour include Khalsa Aid - the Humanitarian relief agency currently looking after shaheed parvaars and active in the North India floods disaster area – this crisis has claimed lives of 800 with thousands missing. A further 250K people have been displaced.